An eye on my working table, - and through my magnifying glasses, too..
Me illustrating The Frog-Prince adventure by The Brothers Grimm. 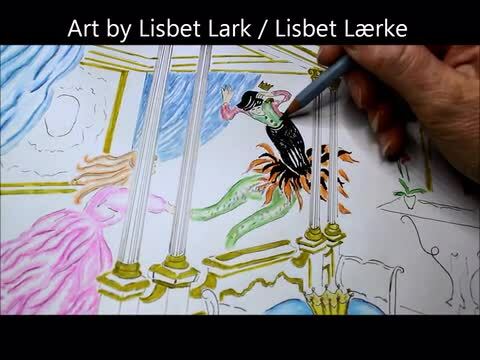 11 sec video from working process in Oct 2016 / Lille 11 sekunders film med mig, der illustrerer Frøkongen/Jernhenrik af Brødr. Grimm fra arbejdsprocessen Okt 2016.